For an adventure like no other, sail away on the exclusive Dunia Baru Yacht and discover untouched archipelagos and some of the most vibrant marine life on the planet. There is never a dull moment on-board and with completely bespoke itineraries, you can be as active or as relaxed as you choose. Better still, you can do it all with a cocktail in hand. With endless discoveries to be made, this is the ultimate getaway for family and friends, with Dunia Baru sleeping just 14 intrepid adventurers. Put simply, the location of Dunia Baru is wherever you want it to be. 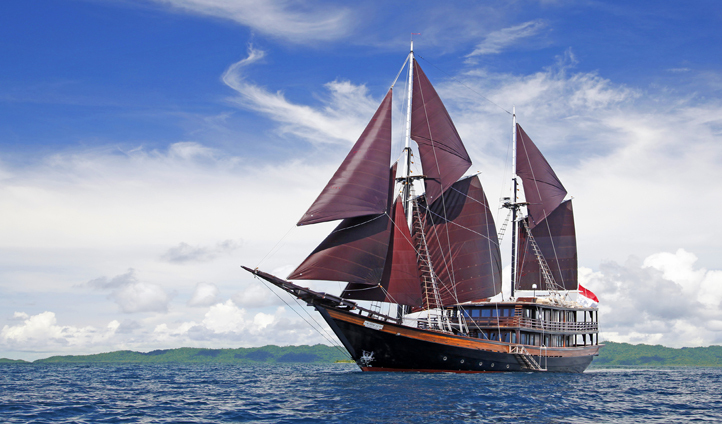 True to its Bahasa name, every morning, wake up in a fascinating new world as you sail into untouched corners of South East Asia. Discover everything from the mesmerising Mergui Archipelago in Myanmar to coral-rich Cendrawasih in East Indonesia. Whether you are a thrill-seeker, nature lover, culture vulture or sun worshipper, the 18 strong Dunia Baru crew has got you covered. So indulge your adventurous spirit and sail away on a vacation beyond your wildest dreams. Adventures with family and friends are no doubt the best adventures – so why not bring them along? Everyone is welcome on-board Dunia Baru, your exclusive home-from-home, with seven exquisite en-suite cabins and ample space to relax over the three decks. The master suite on the upper aft deck is particularly luxurious, with wrap-around windows treating you to 270 degree views over lush landscapes and endless seas. With iPad controllers and a Sonos sound system hooked up throughout, Dunia Baru effortlessly combines traditional techniques with modern technology for a truly luxurious getaway. 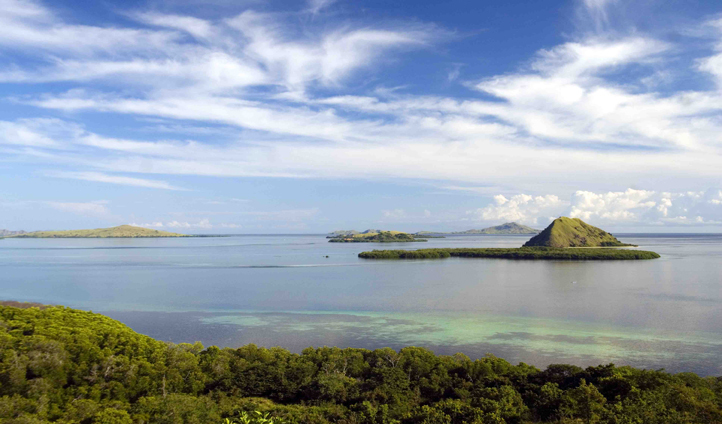 From walking with dragons in Komodo National Park, to diving amongst the kaleidoscopic Coral Triangle, there is endless fun to be had during the day. But, it’s at night that Dunia Baru really comes to life. The start of the evening is signalled by the magical transformation of the deck into an al fresco cocktail bar unlike anything you’ve ever seen before. Grab a cocktail and prepare for a whole other kind of rainbow as the sun sinks down and turns the sky a vivid hue of pinks, reds and oranges. Later, after the sun has disappeared, peer over the edge of Dunia Baru and marvel at the underwater LED lights that light up the ocean and bring many fish, manta rays, dolphins and even whale sharks over to feed.